The native range of the species was very similar to that of the white crappie, except that it extended slightly further north into Canada and east to the coastal plain south of Virginia. Currently, populations of black crappie can be found in each of the 48 contiguous United States. In Texas, black crappie are native to the central portions of the state exclusive of the Edwards Plateau, and have been widely introduced. 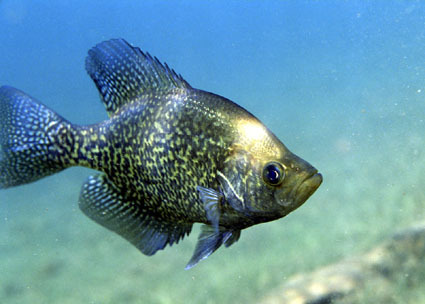 However, black crappie are abundant primarily in clear, acidic waters of east Texas.